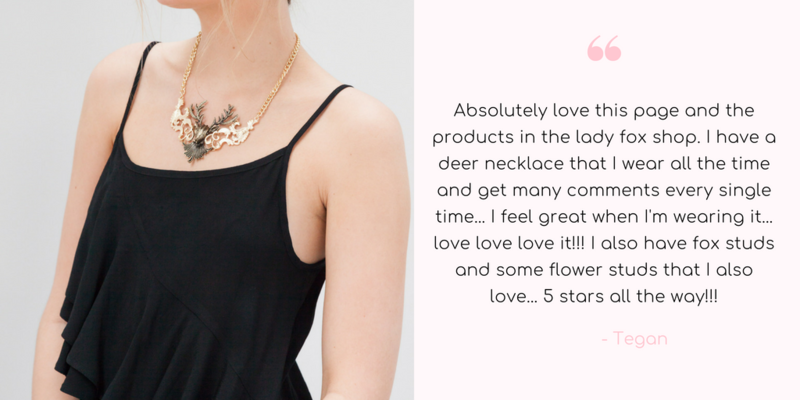 The Deer Necklace features a beautiful 3-D matte gold metal deer head on gold colour chain with an adjustable lobster clasp closure. Deers are known for their gentleness and ability to move through life and obstacles with grace. 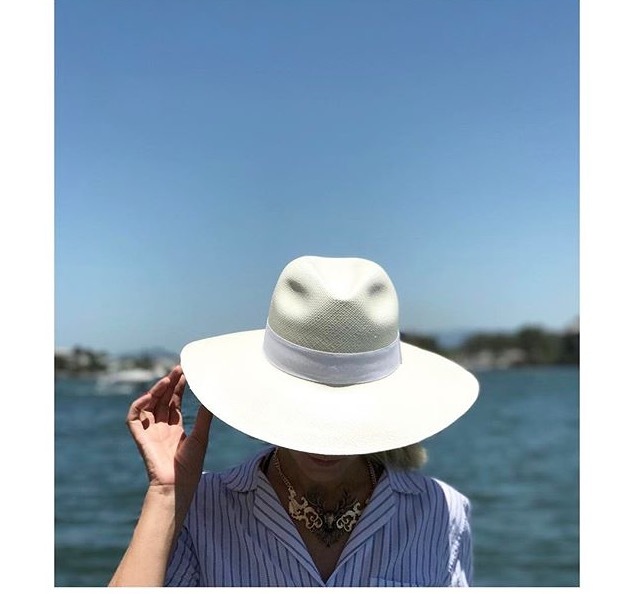 With deer energy you are able to bring gentleness and grace in every aspect of your life, even in the most challenging moments. 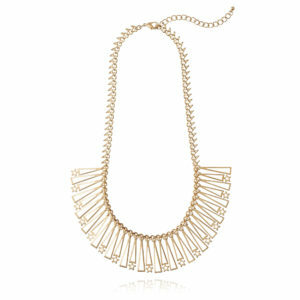 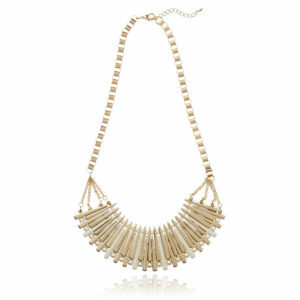 This is the perfect necklace to take from day to night. 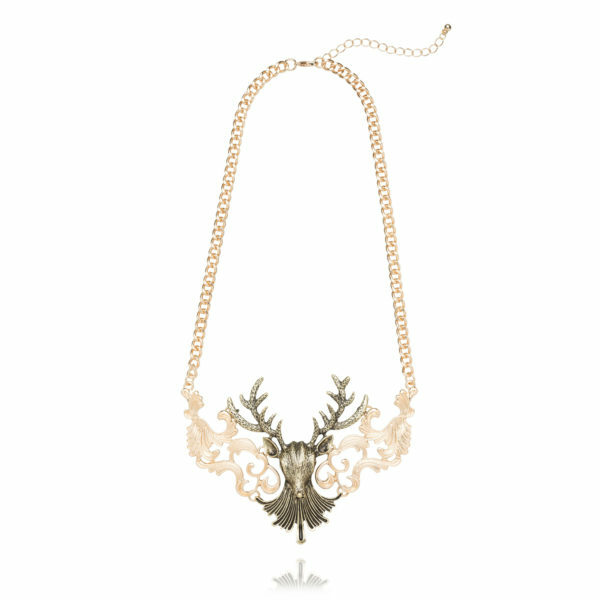 Size: 47cm long with 7cm additional adjustable length chain, metal deer feature 11.5cm wide x 8.5cm long.